You live in a fairy tale. What fairytale? 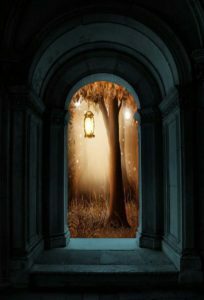 For that, you shall have to read the first part of this series on Defending The Wood Perilous, which you can find here. The second part explains why the Wood Perilous needs defending. The third part discusses what it is about fairy tales that make them perilous to the forces of modernity. Part Four: A Disgrace to the Forces of Evil! Heroism is so deadly to the Degenerati [those partaking in the degenerate forces of modernity] that even villains cannot be majestic. In many of these stories, only the bad and tawdry things were exalted. True villainy, of the majestic kind, was also banished. Notice how one is snide and confident, while the other looks teary-eyed and weak. Both these women may share the same malicious and magnificent name, but only one of them deserves it. Victor Von Doom does not approve. To those of us whose eyes are not blinded by the putrid bile that fills the eyes of the Degenerati, villainy seems, well, vile. An impressive bad guy is still a bad guy, and bad guys are bad. And so we see them, whether they are wimpy villains or majestic villains OF DOOM! What do I mean by majestic? Imagine an enormous, black, basalt fortress stretching as far as the eye can see. It is vast and impregnable, with arrow slits and crenelations. And atop those, crenelations, a man stands calm, imperious, implacable–and set upon your destruction. Nothing sways him. Nothing disturbs him. He speaks a word and a hundred, thousand, million minions all jump into action to obey him. Those of us not yet blinded by darkness often prefer our villains majestic. But to those whose hearts have been corrupted, majesty itself is despised. Why? Because the more impressive the villains, the more impressive the hero who defeats him. In real fairy tales, both the hero and the villain can be majestic. In the twisted modern stories, no one is majestic. The heroes are not brave and glorious, and the villains are not fierce and awe-inspiring. In fact, nothing is awe-inspiring at all. When Canadian psychologist and professor Jordan Peterson lectures about the nature of stories, he often returns to the story of Pinocchio. He sees Pinocchio’s transformation from doll to real boy as a symbol of the transformation we all yearn to go through, but this is not the part of the story he talks about the most. What stands out to him is the opening, in which a sweet and good man, who is kind to others, looks up at a star and yearns for a son. 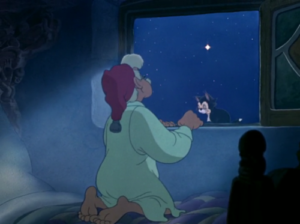 Geppetto and Figaro wishing upon a star. More than once, he has paused to emphasize how good a person Geppetto is in the tale, how kind and generous and unselfish. In the graphic novel series Fables, fairytale beings flooded into our world, fleeing some dire danger in their own. As they arrived, they were clearly tainted by our air, because by the time they reached the city the more noble characters had become cads and the Big Bad Wolf had become a hero. After a time, however, the characters regrouped and decided to try to find out what was happening back home. One of the questions that reverberated throughout this period was: who was behind the terrible events in their home world? 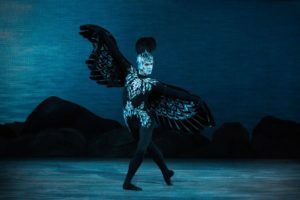 Von Rothbart — wicked, conniving, and he can dance! The author of Fables had many impressive villains to choose from. Might it be the insidious Von Rothbart whose cunningly disguises his daughter Odile as the lovely Odette in order to beguile the prince and drive Odette to her death? Or the witch from Hansel and Gretle who cackles while she eats children? Might it be the wicked fairy from Sleeping Beauty, whom Disney made so impressive that she can call upon all the powers of Hell? 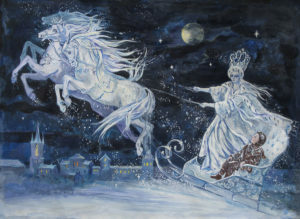 Or the ice-cold Snow Queen who can, with a shard of her mirror, turn a boy’s heart to ice? OR the Pied Piper, who steals the town’s children when they won’t pay him for ridding them of rats? 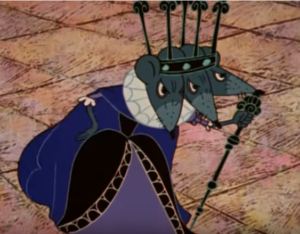 Or the Rat King himself, the vile three-headed opponent of the Nutcracker prince? Evil Geppetto and his evil…night cap? He might have chosen any of these to be the villain worthy of his many heroes and heroine, but he didn’t. 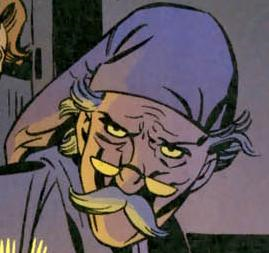 The villain behind the calamity in Fables was an evil…Geppetto. It is not enough to have an evil snow queen or rat king, the good little man who was kind and loving must be warped beyond recognition into something vile, lest the villain be anyone who we might accidentally admire. The same thing happened in Disney’s Maleficent. Disney cartoons feature many fine villains, but none stand out for their force and majesty as much as Malificent, the wicked fairy who is so angry that she has been slighted at a christening that she curses the family and tries to kill the child. But Malificent herself is no disgrace. When it comes time to fight the prince she turns into a gigantic dragon and calls up on the most infernal forces of all. This gives her a majesty that fits with the evil magnificence of her name. She was spectacular in her villainy. Too spectacular for the Degenerati, apparently. 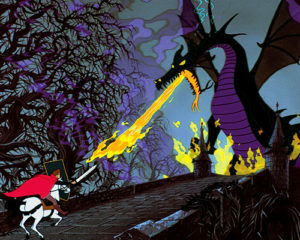 In the original Sleeping Beauty – in some ways the most beautiful of all the Disney cartoons – the backdrops were done by a well-known painter. ( I used to sell his works when I worked at a gallery.) – Malificent curses king Stephan, a man who is both a kind king and a loving husband and father. His only crime is that he left the evil fairy off his guest list. He is good, and he is innocent. The horror that befalls his nation is appalling, and he is undeserving of this terrible fate. The Rat King — formidable and has three heads! 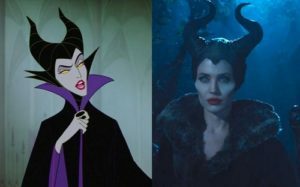 In the recent movie about a being who happens to have a similar look and name to our magnificent villainess, the main character, Faux-Malificent, is not majestic. She is weak and innocent. She falls in love with a man, and this dastardly individual betrays her sweet love and cuts off her wings, leaving her bereft, a victim. How sad. How tragic. What a victim she is. No wonder she grew up to be such a…unpleasant fairy creature. In the movie, that man is…the future King Stephan. It is Geppetto all over again. Big-hearted Geppetto cannot be kindly, he has to be an evil mastermind. Good-hearted King Stephan cannot be innocent, he has to be the cad who screwed over the future villainess. Suddenly, her blackness…is not so black. Conversely, making the innocent man into the villain, as with Geppetto and King Stephan, sullies the goodness of the character — and of the original work! The original story now seems less realistic, less signficant, less important, especially to members of the audience who come upon the modern version first. Suddenly the purity of the innocent is stained; the whiteness is no longer so white. The Degenerati mitigate the bad and lower the good They try to “level the playing field,” make everything flat and uninteresting. They pretend good is bad, and bad is…not so bad. All majesty is removed from the characters, and without majesty, there is no awe. Because we can’t have awe. It might accidentally remind someone of the Source of All Awe. And that, folks, seems to be – strange as this may seem – the real issue. Noble qualities, even in villains, are still noble qualities. And modern stories don’t want those. They want scum, and they want victims. Scum and victims are not perilous. And if there is no peril, then there can be no heroism. I used to think that the most important factor linking everything the Degenerati do with fairy tales was based on two reactions sadly endemic to human nature and modern culture: disappointment and resentment. Why must kindly woodcrafter Geppetto be portrayed as a villain and criminal mastermind? Because people who have been let down by a failed father figure, whether vanished or abusive or simply never known at all, lose the ability to believe in genuinely good fathers, and think nothing is so important as warning people not to fall victim to such expectations. And why try to redeem villains by suggesting they are not truly as black as they are painted? Because in the wake of disappointment with the old ideals, goodness becomes the act of “seeing past the prejudices” inculcated with those ideals: making Maleficent a victim isn’t about giving her some capacity for virtue, it’s about proving the audience’s virtue to themselves by signaling their compassion, perception and tolerance of those called “villains”. When your primary moral rush is in championing the underdog, after all, it ultimately can’t help but dawn on you that in most bodies of fiction the bad guy loses a lot more often than the good guy, so who, after all, is the “real” underdog then? But that in its turn leads into what I now more cynically suspect to be as much, if not more, of a motivating factor, which is simply the desire for novelty. When my wife was a film critic, I paid a lot of attention to movie reviews in general, and one thing I noticed is that the vast majority of critics would give high marks to any film, no matter the content or style, if it simply succeeded in surprising them — because they had simply seen so many films that they found themselves able to predict the classic patterns effortlessly and had become bored by them. Today, when we are spoiled utterly rotten for quantity of choice in stories and leisure time to read them in a way literally no other age in human history has ever been, far too many fans are in something like the position of those film critics. This, I think, is why subversion became such an admired quality in storytelling — because the shock and startlement of revealing that your characters are not who you thought they were, that the Villain is really the Victim, the Hero is really the Villain and the Victim is really the Hero, was for a while the only thing that could still get much of an emotional gut-punch out of the jaded audience. But, like all other tactics based on shock value, this has an exceedingly steep curve of diminishing returns, and what we are seeing now in fandom is the beginning of the really sharp fall-off as a result. My dad worked in the distribution side of the film industry, and he said the same thing about critics. I recall that Siskel and Ebert were so popular when they were on together because they reviewed movies the way regular people might. I do think it is our own true Father, of which all fathers are a kind of image, that they’re abusing. All religious or theological language is necessarily metaphorical. And, in the Bible, what is the most common metaphor given to us to help understand the nature of God? Never forget, that the prince of this world hates us all . He is given over to spite and resentment. There’s also the element of avoiding dashed hopes. Plus, of course, the reassurance that you are not so bad — after all, all the people who look good really are worse than you! Which is why you can’t use any of the evil fathers of actual fairy tales. I promise you, you’ll never see that magic mirror on the wall the same way again…. Now you make me want to go back to my mom’s house and get her old fairy tale books out again. Grew up reading all the old tales before they were whitewashed and virally cleansed of all moral issues. And… In the original “Little Mermaid”, well, Fish-Girl dies, of a broken heart, because her prince marries a real royal from the city/town next door. It’s not a love story. It’s a “Don’t try to date out of your social status” story. I want all the bad. All the good. All the morals. Just reading Andrew Lang’s 12 Coloured Fairy books would widen so many horizons. You… need to read the actual original Little Mermaid. The moral is that, while romantic love cannot “conquer all” True Love – agape – does. This explains why the last few, including the animated version, of the Beowulf movies angered me so much. Hollywood can’t make good Beowulf movies because the virtuous pagan is utterly opaque to them. I wonder… if part of it isn’t an attempt to nerf the bad guys, because the degenerati know, in their heat of hearts, that they don’t have the stubbornness, fortitude, or faith to fight the big bads. I have to disagree about the majesty of villains. Villainy is vile, and there were many complaints over time about portraying them as majestic, the very thing you endorse. Dr. Doom (and his rip off Darth Vader) are too appealing, and it is exactly how the Angel of Light works. What I prefer is a character like Voldemort. A half-dead, half-snake deformed creature, whose loyalists fear and loathe him but are so weak from their own depravity that they can’t leave, even to save themselves. This is what a villain should be. As for the faux-Malificent, you are correct that this is the new appeal of a villain: make them a victim. Again, exactly how Lucifer portrays himself to his followers. But it’s not forsaking “majesty” that the problem, it’s just that you’re disturbed by this lie too. And all bullies are cowards? The problem with portraying all villains as Voldemorts is that they aren’t. You can’t always spot a devil by demanding he take his shoes off so you can check for cloven hooves. At the risk of letting this degenerate into politics, neither Bill Clinton nor Barack Obama nor Donald Trump has turned out to be what he first appeared. The reason the devil appears as an Angel of Light is because it *works. * And it works because we judge by appearances, and are too lazy to look more closely. If we aren’t constantly reminded that there are *handsome* devils, we will forget. Willingly. Does that mean some will admire the handsome devil and think we’re just jealous whem we condemn him? Yes. But they would have anyway. And at least some of us will have the sense to say “He can be grand and mighty and admirable and *still be evil*! You can’t tell the good guys from the bad guys by the color of their hats. A fully evil villain is not even a danger because he’s ineffectual. I’ve heard it argued that the most dangerous villain – in fiction and real life – isn’t someone completely sunk into evil. The most dangerous villain is a largely virtuous man who is nevertheless bent in a significant way. I’d point to Out of the Silent Planet, and the part where the Oyarsa describes why a bent man can do more damage than a broken one. Most villains require both courage and diligence. I disliked Voledmort (after he was restored at the end of Goblet of Fire) for just that reason. The same reason Jordan’s Forsaken snapped my suspension of disbelief in the later Wheel of Time Books: they were caricatures impossible to take seriously. No one would follow them, and they were too busy tripping over their own feet or attacking each other to be any real threat. There are certainly good ways to portray the type of villain you’re talking about (and to some degree the real original Malificent falls into that category, along with the Wicked Witch of the West etc) but there’s also those who fall into the noble adversary category, who could’ve been heroes if they’d taken another path. That was the whole point of Darth Vader (before the messed-up trilogy). If you manage to watch Empire for the first time without being spoiled, you HAVE to go back and re-watch, because it gives him layers of complexity and changes your interpretation of everything Vader says and does in that movie. I have to disagree with you about Voldemort. Tom Riddle is both charismatic and impressive…. that is why people started following him. Only when he come back from the dead, noseless, does he seem merely vile…but he built his organization and reputation before that. And that is behind much of the STAR WARS prequel trilogy’s problems, too. Does anyone *seriously* believe that whiny kid grew up to be DARTH VADER? When did he show any sign of–any *potential* for–the kind of awesome gravitas we saw in the original? The calm ruthlessness that made you wonder if the Dark Side was really based on anger, because you never saw *him* lose it? Anakin Skywalker was a faux-Maleficent, and it pointed up every other flaw in the prequels. *Yeah, I copied that from my comment on the main blog. This duplicate-post thing could become a problem at some point. Vessimede Barstool wrote:One of the many, many issues with Disney Star Wars is the piss poor writing of the supposed villains. Their evil remains unexplained, they are depicted as incompetent fools lest the audience begins to wonder who they should be rooting for. Kylo is a conflicted emo, Hux is there for prat falls and lulz, Snoke…well quite. The good guys face adversity not through challenging a great evil but due to their own incompetence and foolishness. The First Order is bad in the way Trump and white men are bad, because of who they are not what they believe or even what they do. It’s remarkable how a multi billion dollar franchise can abandon the basic rules of story telling like this. No one enjoys this rubbish, even the SJWs who say they do are pretending. It’s runny gruel for breakfast lunch and dinner. 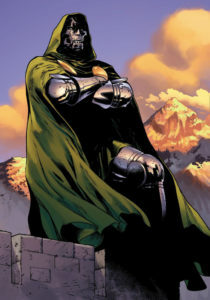 If for some reason they just can’t get Dr. Doom right in a movie, why don’t they just forego him in the next FF movie, at least for now, and go with one of the others. There’s no shortage of incredible villains: the Skrulls, the Puppet Master, Mole Man, Annihilus, the Mad Thinker, Ronan the Accuser. For crying out loud, Namor! Addendum: I do not know what it is about this sub page of superversive SF e.g., the inklings, but, I can actually read the articles on it and comment. The main superversive page will not display for me. I can read partial posts in my Word press feed, but that is it. I have missed you guys. Have you actually read “Fables”? The whole point to Bigby Wolf is that he’s a terrifying monster who’s learned (slowly) to be on the side of good. He was always willing to revert to the killer side of himself, even though it took decades for him to ask Snow White out on a date. He was upfront about his desire to marry her, and eventually won her heart and gave her children. Geppetto was cut from the same cloth. He wanted children and since Pinnochio was so disobedient, he started carving more obedient children, and suddenly realized he was ruling a galaxy-spanning empire. At least Bigby followed standard practices of picking a woman and staying with her until death do they part. Gepetto was a simple carver who found himself with absolute power and reveled in it. He even made a big old speech about it in “Fables” #76 where he calmly explains that he murdered and/or enslaved millions of people, but trillions of people lived in peace and harmony because of the empire he created without the slightest clue that he was doing it. And he’ll do it again if he gets the slightest excuse. The Final Geppetto story has him restoring his wooden army to destroy his son who has recently been elected POTUS. Pinocchio is all about womanizing and corruption, he just can’t lie about it afterwards. I like the overall point you’re making, but you’re way off regarding “Fables.” Bill Willingham had specific viewpoint and characters were picked to fit into that viewpoint. [See Bigby’s defense of Israel.] Your overall point is fine, but “Fables” does not fit into it. As I said… I do like the wolf. But your comments about Geppetto completely prove my point. Fables didn’t use a villain…it took a very good man and warped him. That character is no more Geppetto–known for his generosity and kindness–than the jerk who cuts off Malificent’s wings was King Stephan. He was a warped evil mockery of Geppetto. The Wolf, on the other hand, is a better character…. because bad beings do sometimes because good. In my opinion, Disney’s Maleficent was deficient for the many of the reasons Jagi cites, but by contrast my favorite TV show in recent years is YouTube’s Cobra Kai. For those who don’t know, it is a moral subversion of the 1980’s classic film, The Karate Kid. The hero of the film, Daniel LaRusso has grown up to be, if not evil, a successful but swarmy car salesman with everything that implies. The film’s villain, Johnny Lawrence, the main protagonist of the series has become a bum who works odd jobs until he re-discovers his skill and passion for karate by fighting a bunch of bullies attacking a Mexican boy who lives in his neighborhood. Lawrence then goes on to start a karate school where he teaches local kids. These kids develop the strength, discipline and courage to counter bullies in their own lives. I probably just like this series because I am a modern degenerate filled with disappointment and resentment (like Johnny Lawrence) but I wonder if there is a difference between moral subversion of “realistic” fiction as opposed to fantasy? Is there something different about the “relativizing” of good and evil in stories about regular guys than those about preternatural entities? Sorry about that! I looked in unapproved comments….but don’t see anything pending.